I have a friend that has two almost completely white horses (yes TWO!). I know what a challenge she has with keeping their coats all pearly white. She could probably benefit greatly from buying stock in mane and tail whitener products! It’s not generally in a horse’s nature to stay clean willingly. I’m very blessed to have 2 dirt-colored horses, so most of the time you can’t tell quite how dirty they are. However, my mare does have white socks and used to have a gorgeous blonde flaxen mane and tail, which has turned more of a dishwater blonde over the years. It’s quite beautiful and silvery when she’s not been rolling in our Texas black gumbo mud. Not to mention the other problem we have keeping tails clean (let alone white ones) with mares due to the proximal location of the tail to unmentionable girly anatomy! While my horses RARELY get full-on baths (more on that topic later), I do find it necessary on occasion. The dilemma…most shampoos and whiteners contain many dangerous chemicals that I don’t want to expose my horses to even rarely if I don’t have to. See this list of common dangerous ingredients to be on the lookout for – http://www.viviforyou.com/organic/danger.html. So what’s the alternative? Well I found it quite by accident! 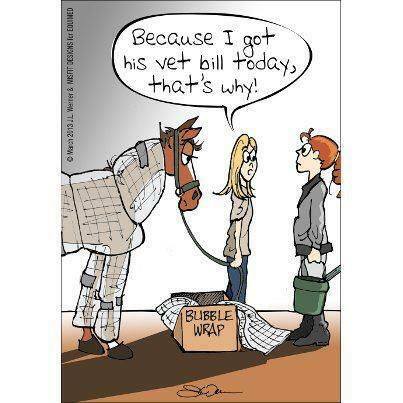 I was having to do daily hoof soaks on my mare. We were having a particularly wet time here. The mud was awful. As I mentioned before, we have some serious black gumbo here. Nasty stuff. So you can imagine what my mare’s normally white-socked legs looked like. I didn’t notice at first, but after a couple of days of doing the hoof soaks, I noticed that her legs were glowing white, instead of the dull grayish tint that had been the norm lately. 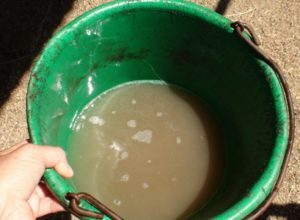 I realized it was the main ingredient in the hoof soak I was using – Thieves Household Cleaner! Thieves Household Cleaner is great for so many things in the home and the barn. I use it in laundry, surface cleaning, and even cleaning feed/water buckets. But I hadn’t considered it’s cleansing benefits as a whitener for horse hair! • Formulated with 100 percent natural plant- and mineral-based ingredients. • Harnesses the power of Thieves essential oil blend. • Safe formula without harsh ingredients usually associated with traditional cleaning/personal care products. 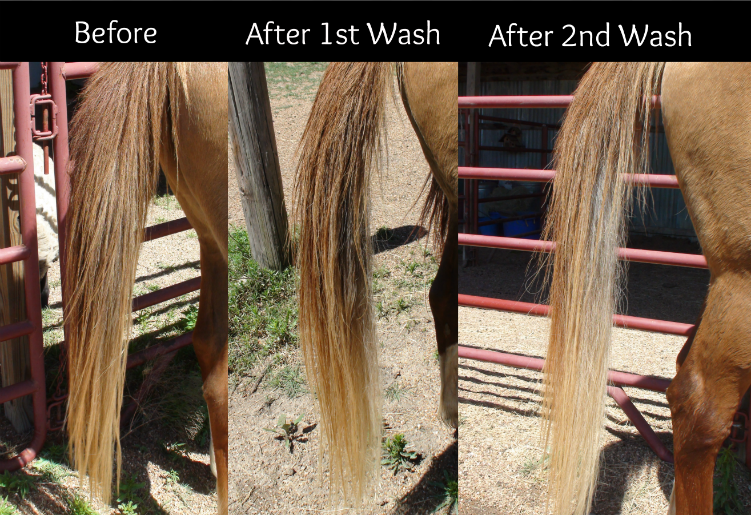 • And now…horse mane, tail and coat whitener! • Cost effective. Thieves Household Cleaner is super concentrated, so a little goes a long way. It’s a super simple recipe! Just add enough Thieves Household Cleaner to a bucket of water so that the solution just barely suds. Wash desired areas, rinse and repeat as needed. It’s that easy. I used a smaller 2-gallon bucket to more easily submerge my mare’s tail in the solution and really do a thorough wash. I did an initial “grime removal” as a pre-wash step, followed by a second wash to remove any remaining dirt. You can see in this photo (right) how much came off in this pre-wash step. 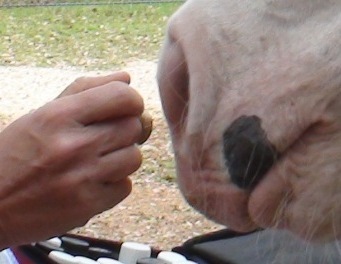 By the second wash, the silvery blonde central core of my mare’s tail was very clean and quite visible (below). 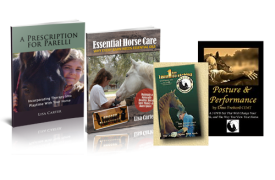 I’m always looking for ways to minimize the number of “specialty” products that I need to keep on hand, saving me time and money in the process, as well as being safe for my family and animals. Thieves Household Cleaner is one of those products that really fits the multi-purpose bill! I hope you’ll find it as useful as I have. If you decide to try it out, let me know how it works for you. 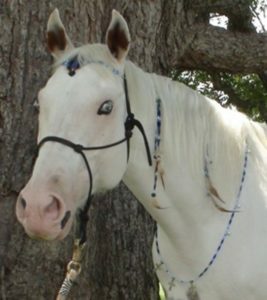 I am the secretary for the Canadian Fjord Horse Association and our horses are very light colored all over and I wondered if I could have permission to re-print the article in our newsletter on whitening. 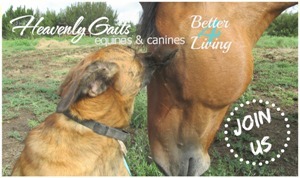 we have a membership of about 120 across Canada and have a quarterly newsletter. Thanks for your consideration. Dana, thank you for asking. I would be honored if you included the article in your newsletter.